December 29, 2014 By Allyson 3 Comments This post may contain affiliate links. Read my disclosure policy. Now that the New Year is approaching us, I know everyone vows to eat healthier. I love eating healthy, but I also love indulging once in a while. 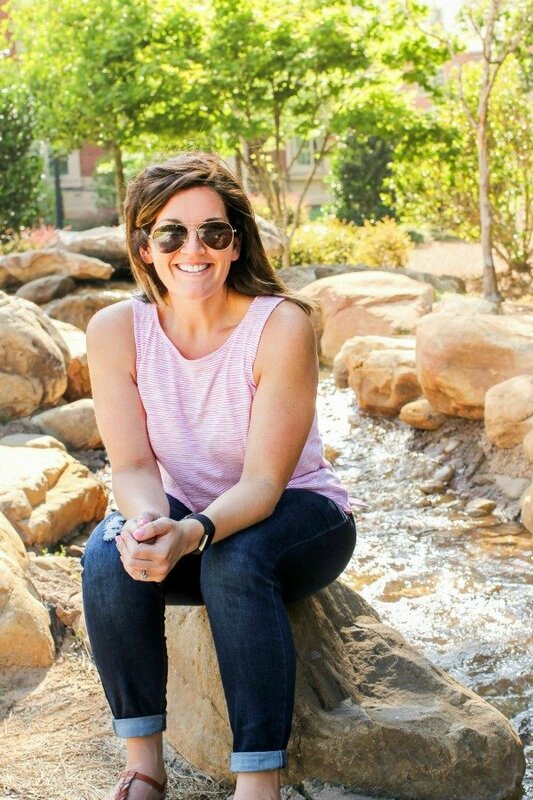 It really is about finding balance, and being able to enjoy the things you love, and not feel like you are missing out. That’s why when I altered this recipe from Skinny Taste, I knew it would be great. I love creamy pastas, but let’s face it, pasta is not very healthy…especially when you load it up with creamy cheesy sauce. 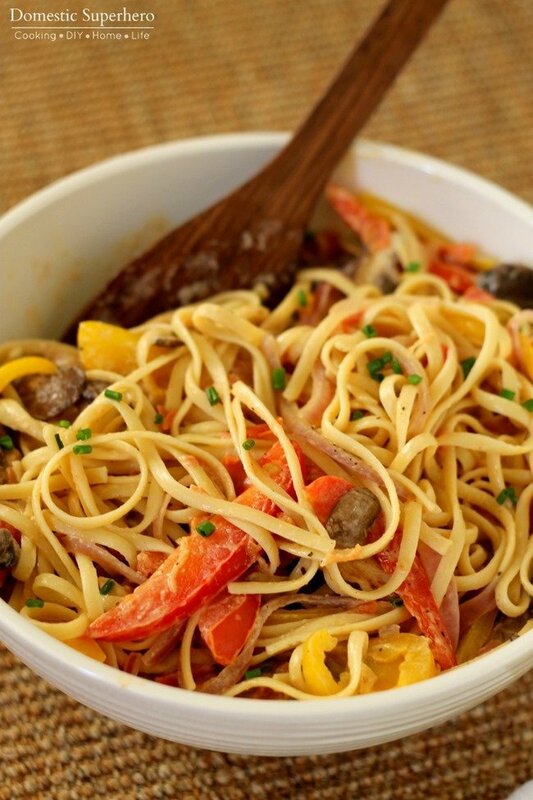 Making simple substitutes in this recipe make all the difference, and even though I didn’t, you could also make things healthier by using whole wheat pasta. 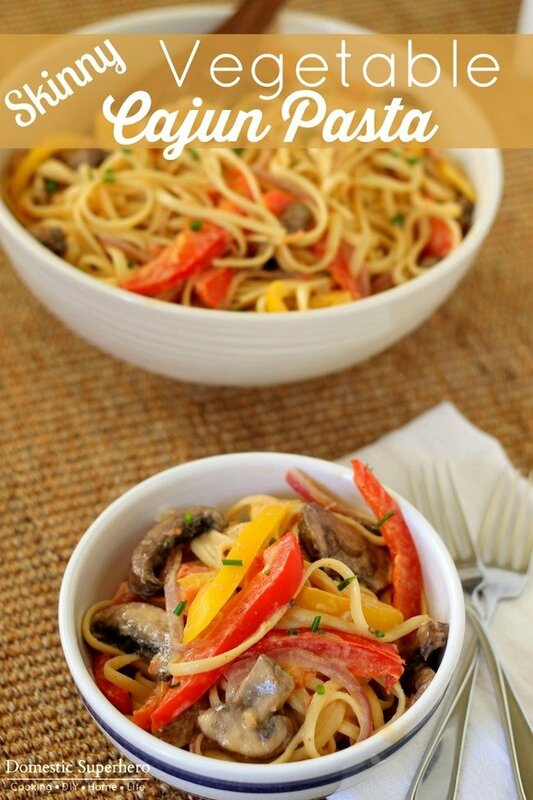 I absolutely love this Skinny Vegetable Cajun Pasta, it’s so flavorful and delicious! You can switch up the veggies in this pasta too, or add chicken or shrimp if you want to add some more protein. 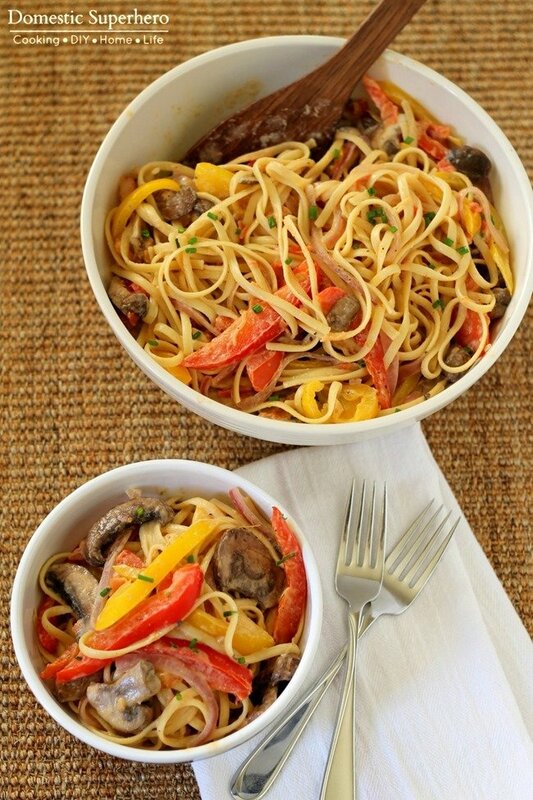 I love the peppers, onions, and mushrooms though; it’s a great combination. Topping the pasta with green onions gives a nice extra crunch, and of course the delicious Cajun seasoning (this stuff is great on everything) spices things up wonderfully. 1. In a small blender make a slurry by combining milk, flour and cream cheese. Set aside. Place peppers, onions, and garlic in a medium bowl. Season generously with Cajun seasoning, garlic powder and salt. 3. Heat a large heavy nonstick skillet over medium-high heat; add olive oil to the skillet and reduce to medium; add peppers, onions, and garlic to skillet, sauté 3-4 minutes. Add mushrooms and tomatoes; sprinkle some more Cajun seasoning over top, and sauté 3-4 more minutes or until vegetables are tender. Season with 1/4 tsp salt, garlic powder and fresh cracked pepper to taste. 4. Reduce heat to medium-low; add vegetable broth and pour in slurry stirring for 2 minutes. Add linguine and toss well to coat. Top with chopped scallions and serve while hot. Want more healthy recipes? Check out over 100 healthy recipes here!